The Zero Project Conference 2016 has taken place for the fifth time from February 10th till 12th and was held at the United Nations Office in Vienna. I received an invitation to this event and therefore it was my first experience of this international event. As more than one week went by it has been a good time for me to process all the impressions and get some distance before writing these lines. Firstly, I want to introduce you to the organization behind this event. As read on their website, the Zero Project is an initiative of the Essl Foundation, which has been established in March 2008 and which focus is set on the Zero Project. The Essl Social Prize - an award for outstanding social entrepreneurs, supporting social innovation with a emphasis on persons with disabilities and job creation in Austria, Sinnstifter - joint activities with other Austrian Foundations and the “Verband für Gemeinnütziges Stiften” for supporting philanthropy in Austria. The Zero Project itself focuses on the rights of persons with disabilities globally. It provides a platform, where the most innovative and effective solutions to problems that persons with disabilities face, are shared. Its sole objective is to assist in creating a world without barriers. They use a solution-based approach for their work. Together with their continuously growing network of over 3,000 disability experts in over 150 countries, they seek to identify the most innovative and effective policies & practices that improve the lives of persons with disabilities. More information can be found on their website. Now I want share my impressions, which started on the second day of this event with the official opening ceremony and ended with the final plenary. I appreciate this experience outside of my used surroundings in the last years. There was a little bit of a coming back to the fields of activity where I have been for years and meeting people again after a long time as well as meeting new ones which resulted in interesting conversations. Therefore I want to thank Zero Project a lot for the invitation. It was not possible to attend all sessions because there were three sessions at the same time. As a result I was only focussing on sessions which met my personal and professional interest. The conference topics can be so far roughly summarized in three fields: Policy, Education and Information & Communication Technology. I have to mention that the field of disability, inclusion, accessibilility and sustainability is a large cross section subject. Hence, it is its nature that these are controversial topics, too. For me it is important to have the possibility to discuss on a well balanced and fair manner and these have been a shortcoming for deaf people with sign language as their first language. Because there was only one room providing sign language interpreting. The interpreter has done an incredible work because they were doing an unbelievable extra effort. Every room was providing english captions of the spoken topics. If deaf people wanted to share on discussions there was no possibility, only if they have brought their own interpreter. And networking without sign language interpreting is a matter of enormous extra effort for the most of them. Therefore I would say, it was only a partially accessible event. We cannot really talk about inclusion if there is partial exclusion even if not intented. I am not sure how hard of hearing people or people with cochlea implants were thinking about. Because only one room have been clearly marked out by providing an induction loop for access with hearing aids. Maybe this has been a public relations stunt of the event sponsor which have in their own session in this room only been talking about costs and benefits of their hearing implant technology and surprisingly drop really important and neutral arguments in the session summary in the final plenary. I was missing fairness in this issue and the session chair was not biased. One of these arguments will be explained here later. It is not only a matter of money or intent whether you provide a service or not. It is a cause of clear communication or information. As I am always writing accessibility is a business of balance in a range of possibilities. If you are providing a service then do it as a fullservice and make clear statements. Partial service is likely to be a russish roulette gun for public relations. Clear communication, clear information and clear services - then you can be sure there will be a greater atmosphere and experience for all stakeholders which can emerge a new culture in sharing expertise and understanding people. It is not about providing everything but to keep a well-thought balance within the possibilities. It is not my intent to blame the event. No, I want to point out possible blind spots which can be improved for future activities. Nonetheless, it has been an interesting experience getting the possibility to attend the Zero Project Conference, which left me inspired to get some more insights. Therefore it is great effort of the Essl Foundation to make this possible. Chapeau! As I am familiar with conferences in the field of web accessibility there were different approaches concerning the topics. The focus had a strong bias on assisitive technologies in general. Despite of their importance, they are only one side on the bridge of overall accessibility. Technology alone is not granting the involvement of any stakeholders because it is a matter of culture, too. Imagine, if you have access to anything but you have not the feeling of being welcomed or being touched? You would miss something and won’t stay long. I am sure if there is a sense for that then technology will be understood and used well. Why are you doing that? In what you are believing in? This is important to get commitment of the stakeholders. I think it is also a matter of how people with disability will be seen in general. They are not homogenous, they are diverse. To be fair this is only a small impression and I haven’t attended the complete session program. Nonetheless, the discussions were interesting on this international level. For example the piece of information about accessibility as an issue in the negotations about TTIP (Transatlantic Trade and Investment Partnership). A very appealing issue for me has been the strong bias on Universal Design. It’s role in accessible tourism, urban developement and sustainability. Especially the material produced by the Centre for Excellence in Universal Design in Ireland was really impressive. As well as some pieces of the technology show. It gave me some impressions outside of my personal bias. And the most impressive statement which left me thinking a lot has been made by Dr. Christian Schober from the NPO Competence Centre at the Vienna University of Economics and Business. He said in the session about “Increasing access by using hearing implant technology” that it is not about costs and benefits but about investment and return, no matter which cause. I recognized the general meaning of his statement, not only for this session and it was indeed an eye opener even for the business in general. At the Zero Project Conference there was much more in session program which is not covered by this blog post. And there are much more statements I have missed for sure. Despite of the facts I have stated above I would go there again if I get the possibility. 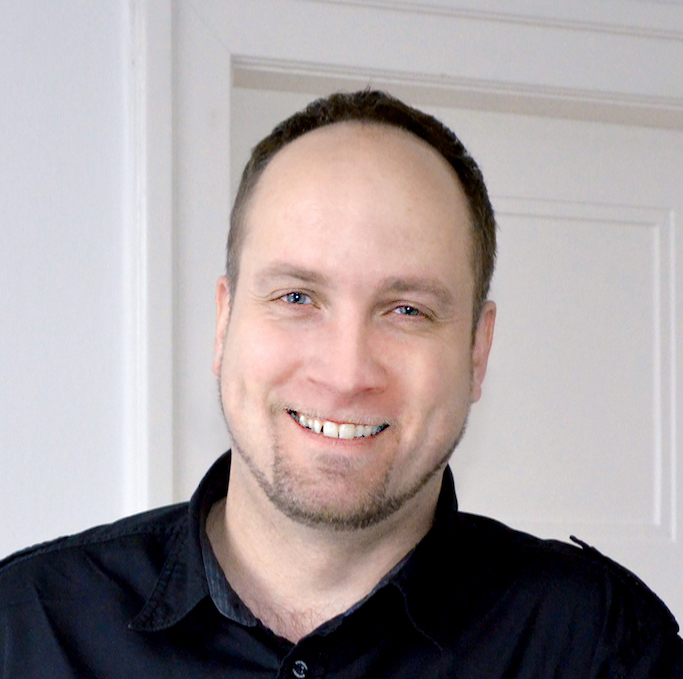 Jo Spelbrink is Developer at Zensations and he likes to challenge within the fields of frontend developement, UX und accessibility. He is chairman and founding member of www.accessiblemedia.at.